The batching machine is a kind of weighing system which adopts weighing control devices and sensors that could fix the quantity,dose and control the material ,and rectify the head drop automatically. The machine has the advantages of reasonable arrangement ,compact structure, convenient operation, accurate ingredients, reliable control, etc. 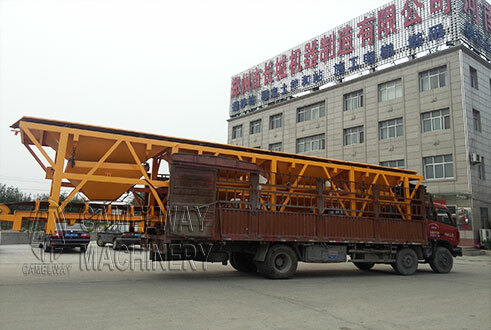 PLD Concrete Batching Machine is a kind of front-desk automatic batching equipment equipped with the mixer. This machine adopt electronic weighing, computer control, digital display, and wired remote control. It has the features of accurate weighing, high batching accuracy, fast speed, strong controlling ability, easy operation, reasonable design, compact structure and long service life. PLD Concrete Batching Machine is widely used in all kinds of large and medium-sized construction project and concrete mixing station. This entry was posted in Solution and tagged batching machine by camelway. Bookmark the permalink.